An allegedly intoxicated man was found about a mile from a Lower Township crash scene after police say he fled his overturned vehicle early Sunday morning. 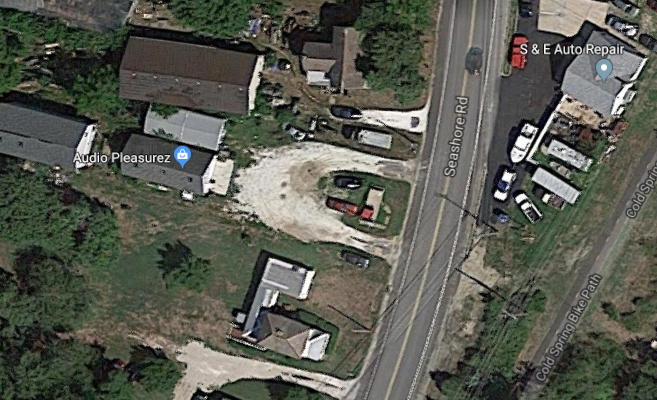 Police were called to the 600 block of Seashore Road in the township’s Erma section at 2:21 a.m., and found an overturned 2004 Ford Explorer lying on the driver’s side, according to the report. Officer Adam Hegarty was told the driver escaped out the windshield and ran north. With the help of the Cape May County Sheriff’s K-9 Unit, officers were able to track the man, who they found lying on the bike path, police said. The alleged driver, William Douger, 40, of Bensalem, Pa., was also found be under the influence of alcohol or drugs, according to the charges. He was arrested for driving while intoxicated, failure to maintain lane, leaving the scene of a motor vehicle accident, failure to report a motor vehicle accident and reckless driving. Lower Township Rescue responded and took Douger to Cape Regional Medical Center, where he was medically evaluated.